Team SEArch+ / Apis Cor have placed in first place for Construction Level 2 of the Competition, the Hydrostatic test. For this level of the competition, teams submitted 3D-printed samples that were tested for their ability to hold a seal, for strength and for durability in temperature extremes. 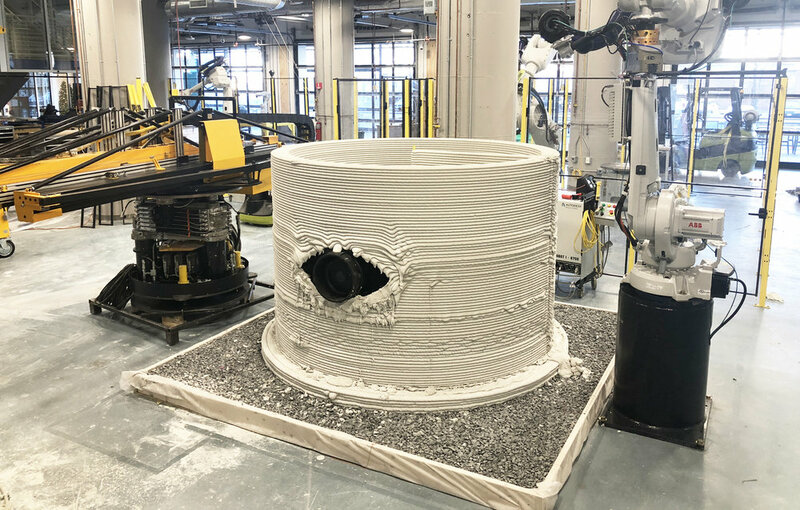 Four teams will share a $300,000 prize for successful completion of the seal test stage of the 3D-Printed Habitat Challenge. The final printed structure before the Hydrostatic test.